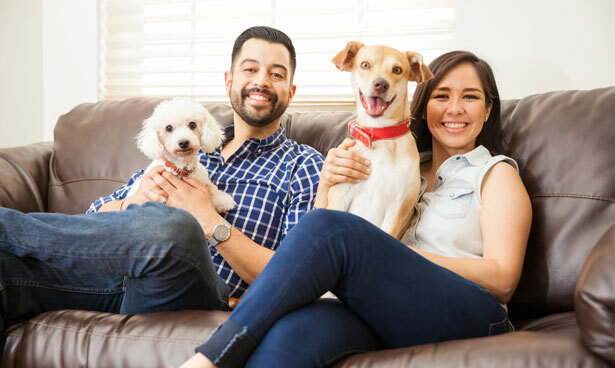 Renters Place works to limit the upfront move-in costs to our tenants by allowing a lower upfront Pet Fee and paying a Pet Fee on a monthly basis. If tenant supplies a Pet Screening report of 3 Paws or higher on each qualified pet, then Renters Place will discount the tenant $50 per pet off of the up front Pet Fee. We understand that your pet is part of your family. Compliance with our pet policy, communication and transparency is of the utmost importance. You cannot substitute a pet without letting us know immediately. Unauthorized pets are a breach of the lease and will be assessed a $500 fine per unauthorized pet. (1) is necessary to verify that the person meets the definition of disability pursuant to the Fair Housing Act. (3) Shows the relationship between the person’s disability and the need for the requested accommodation. The landlord may independently verify the authenticity of any supporting documentation. Supporting documentation acquired through purchase or exchange of funds for goods and services shall be fraudulent supporting documentation. C. A landlord shall not be liable for injuries by a person’s assistance animal permitted on the landlord’s property as a reasonable accommodation to assist the person with a disability pursuant to the requirements of Subsection B of this section. D. If a person obtains a reasonable housing accommodation under this section by knowingly making a false claim of having a disability requiring the use of an assistance animal or by knowingly providing fraudulent supporting documentation in connection with the claim, the landlord may remedy the person’s non-compliance by the procedures authorized pursuant to the Oklahoma Residential Landlord and Tenant act in S132 of Title 41 of the Oklahoma Statutes. Additionally, a prevailing landlord in an eviction action under this section may receive an award of court costs and fees, plus damages not to exceed One Thousand Dollars ($1,000.00) from the tenant.